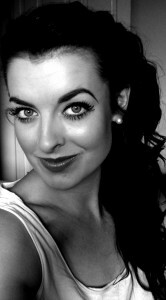 Tracey Penn trained at Guildford School of Acting where she graduated with a BA Hons in Musical Theatre in 2009. Tracey played ‘Jack’ in Mother Goose at the Northcott Theatre in Exeter, ‘Jack’ in Jack and the Beanstalk (King’s Lynn Corn Exchange) and was a vocalist in A Night of a Thousand Stars at the Marlowe Theatre in Canterbury. She has also appeared in a Meteor TV commercial. At the time of the interview, Tracey was starring as ‘Fleck’ in Love Never Dies (LND) at the Adelphi Theatre. This role marked Tracey’s West End debut. Read this great interview with Tracey and find out about her LND character ‘Fleck’, what Tracey likes about being an actress, her ambitions and about the latest addition to her family! At what age did you realise that you wanted to be a singer/an actor? I started dancing from a very young age, around 4 years old – as a lot of little girls do, going to ballet, tap and jazz lessons every Saturday morning. I realised I enjoyed it a lot and was quite comfortable and confident performing, so ended up getting involved in productions at my local theatre and secondary school. At around 13/14 years old I decided to really start taking performing more seriously, I’d carried on my dancing and took theatre and music exams at school. After working hard through my last year of school I prepared myself for further education as a professional performer and managed to get a fully funded place at the Guildford School of Acting. I’ve never really had a particular performer inspire me to be on stage. I was definitely one of those teenage girls who attempted to belt out some Whitney, Celine or Mariah through the hairbrush in my bedroom but seemed to enjoy watching anyone and anything get up on stage/TV as long as they entertained me! I’m afraid I’m gonna be cheesy and say my AMAZING mother! She is my best friend and has never pushed me into doing anything. I believe this was the best thing she could have done as I was more self determined and enjoyed working hard to make her proud. You trained at Guildford School of Acting. What was your time there like? Excellent! I changed a lot in myself throughout the 3 years I was at college. In other words I grew up! I met some amazing and interesting people and it really was fantastic training. It was great to let myself go, be a clown, find new skills, be completely honest and eventually realise what I could do and offer to the professional industry. It has to be ‘Fleck’! This is my first West End role and I am having an amazing time. I get to be really quirky and wear a gorgeous costume as well as acting alongside some super talented performers. I feel very lucky! I saw you in LND, a brilliant show! Please describe your character ‘Fleck’ to someone who has not seen the show yet. What kind of place is Coney Island? Coney Island is a very magical and mysterious place filled with all kinds of freaks and weird performers…I would love to visit the real Coney Island one day! What’s your favourite LND song? I always say my particular favourite part of the musical is when Phantom goes and sings to Christine in her dressing room. The music is truly stunning throughout the show but there’s something about that moment where the hairs go up on my neck, beautiful! Why should everyone go and see LND? Everyone should go and see LND because it is a beautifully written and super classy show, very different to a lot that’s in town at the moment and you are guaranteed to be extremely moved by Celia Graham’s version of Love Never Dies. Every night the audience are on their feet and we are all gutted the show has to close, so everyone needs to come and support the show before we leave on the 27th August 2011!! What do you usually do on your ‘nights off’ from LND? Sadly, LND is closing at the end of August. What’s next for you? I will be returning to Pantoland after I finish in LND which I am very excited about. I will be in Eastbourne this Christmas performing in Robin Hood (playing Robin) at the Devonshire Park Theatre. Its hard work doing 2 sometimes 3 shows a day but it’s great fun and the audiences really have a good time. I will start rehearsals for that in November. I guess the best part of being an actress is actually having a job and being in work, being lucky enough to do what you love doing every day. A lot of my actor friends are out of work as it’s a tough industry so to get to be on stage every night is the best part, as well as meeting all sorts of people and creatives along the way in a variety of productions. No job is the same and it keeps it interesting, you never know what challenge is coming next. I suppose the worst is the fact that you are self-employed and have to do boring things like tax oh and also you lose your social life not having evenings free but I don’t mind that really! Just the other day we actually had a show stop on stage. Something had gone wrong somewhere and very slowly everything came to a halt which meant eventually I was left down stage centre saying my line in complete silence until I was told to stop. Slightly ‘eggy’ but it mixed things up a bit! I would absolutely love to be in the musical Chicago. I love the show and the style of the music and choreography. I would also love to play Killer Queen in We Will Rock You as it’s such an amazing sing! But really anything that came along that was suited to me I would love to have a shot at. If you could go and see any West End musical, what would it be and why? At the moment, I would love to see Shrek as I love the films and haven’t seen the musical yet. I also missed Lord of the Rings when it was in town so I’d love that to come back or tour so I could see that too! You have appeared in a TV commercial. Would you like to work as a film/TV actress? I would love to work as a film and TV actress. I had such a great time doing the commercial and acting on camera was always one of my favourite lessons at college. It’s so interesting and I love the precision and demand as an actor it requires. My long term ambition is to one day be in a film should I be lucky enough, but most importantly to keep enjoying what I do because there is no point in doing it anymore if you lose that drive and passion. I would also love to travel the world one day. Oh and pay my mum back! Is there anyone you would really like to meet? There are so many people I would love to meet, I get very easily star struck and basically want to meet anyone that I have seen in a musical/film/TV drama I have enjoyed. Just so I can congratulate them! HOLLIIIIDDDDAAAAAAY! I miss the sun! Our summer has been rubbish so far, and when it is sunny we’re normally indoors! Maybe you’d like to tell your fans about your new family member, Buddy? Ahhhh he’s sooo gorgeous. He’s my new little kitten and just over 3 months now! Crazy and completely cute, he tears around the flat but loves a cuddle too. Please everyone get down to the Aldephi Theatre to see Love Never Dies before it closes on the 27th August! You will love it! Thank you very much Tracey! All the best and have a great time in ‘Pantoland’!